It's not manga, it's Azumanga! − smart, fun and totally addictive. 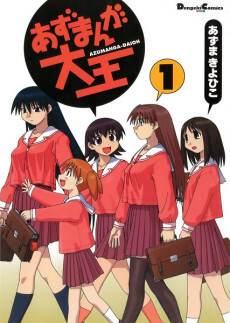 Created by the iconoclastic Kiyohiko Azuma, Azumanga Daioh is strongly character driven, taking the reader through the daily tribulations of Miss Kurosawa, Miss Yukari, the wild Tomo, hair-triggered Yomi, ditzy Osaka, brash Kagura, cute Chiyo-chan and athletic (but girly) Sakaki.